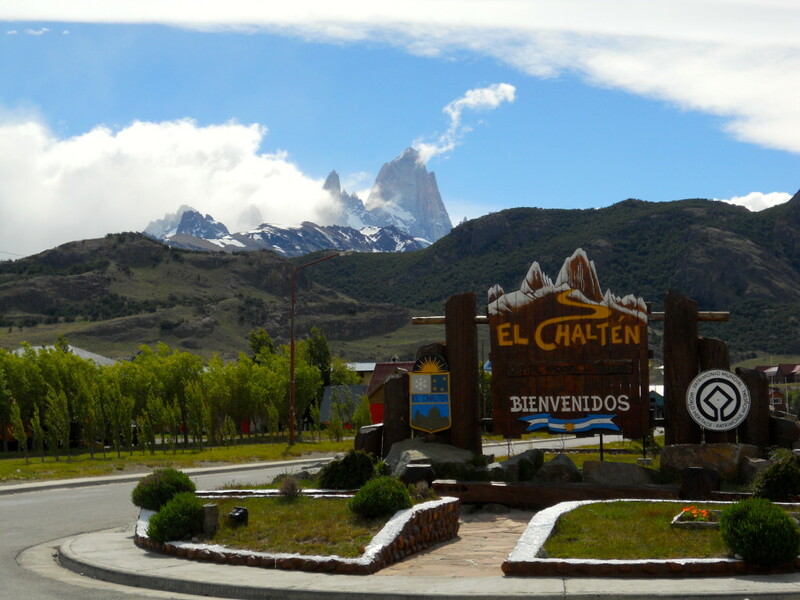 From Calafate, we took a 3 hour bus to El Chaltén. 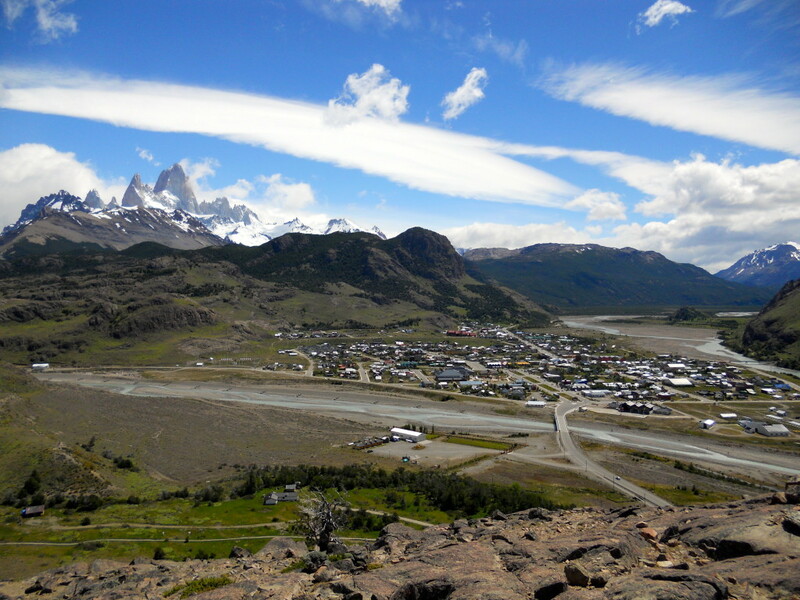 Chaltén is a relatively new town – only 20 years old or so – and the sole purpose of the town is a base for hikers. The population is only around 1,500 and there is pretty much one main street with a lot of restaurants, grocery stores, bakeries and lodging on it. Instead of renting gear and going backpacking, we decided to just stay in town and do day hikes. All the trails start at the edges of the town, so it’s really easy to just do day trips. 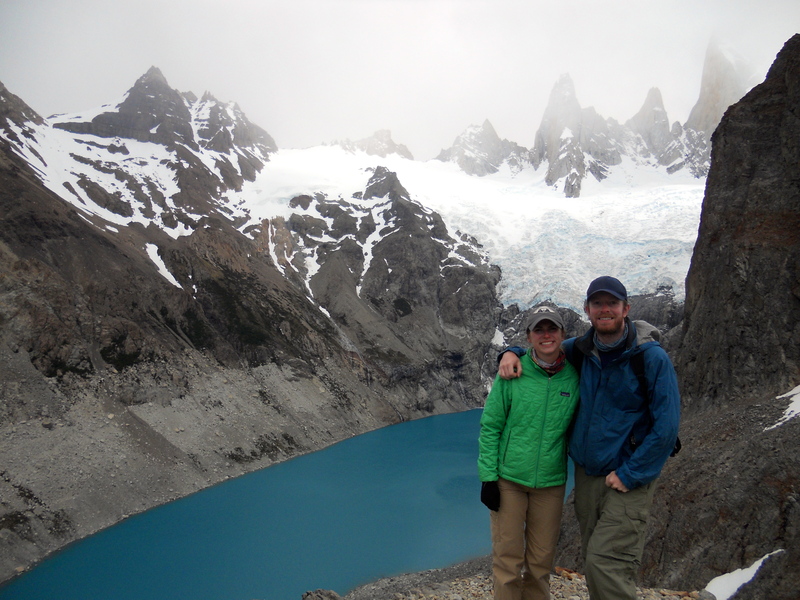 The first day we hiked out to Laguna Torre. 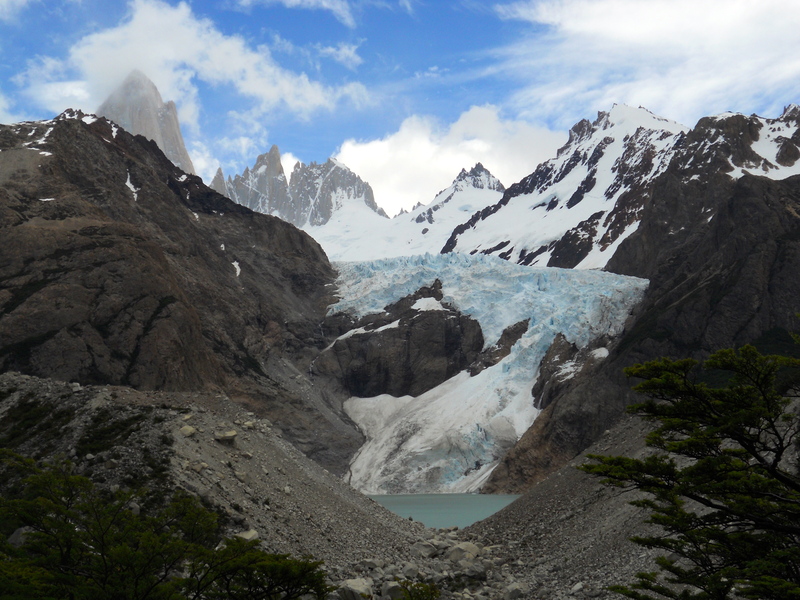 It was cloudy when we started out, but just as we got into view of the laguna, the clouds cleared and we had a beautiful view of the laguna, glacier and granite towers behind. The second day was our longest hike. 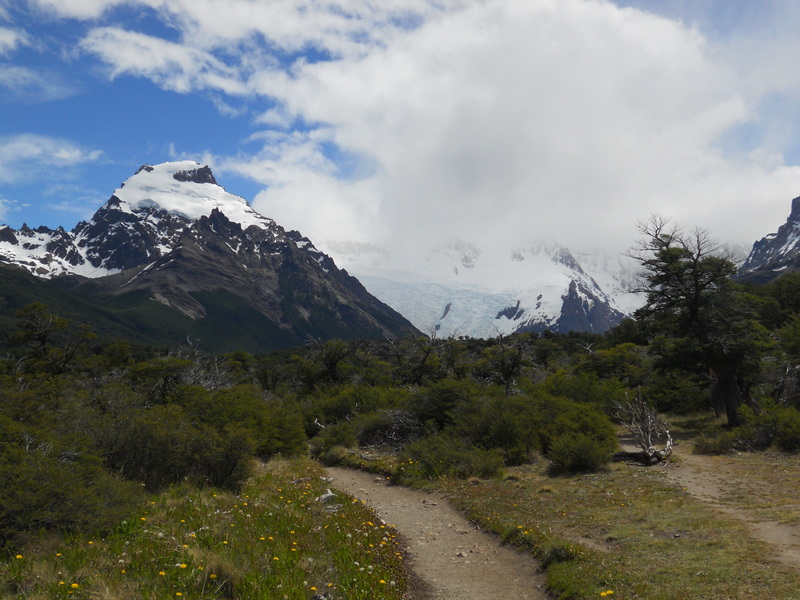 We did the Tres Lagunas Trail to Mt. 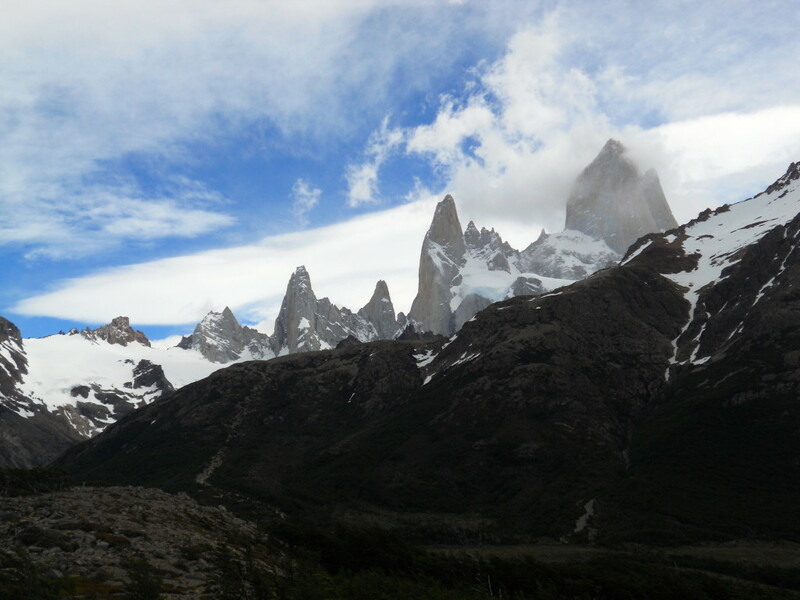 Fitz Roy (the iconic El Chaltén mountain). 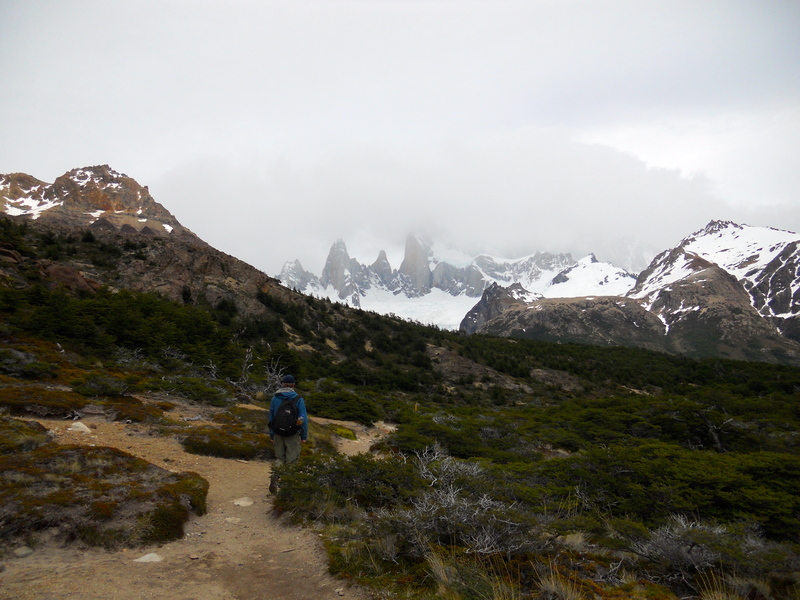 Again, the day started out a bit cloudy with Fitz Roy completely covered. The hike there was pretty easy, except for the last hour that was straight up a rocky hill. We got to the top and had high hopes that some of the clouds had disappeared, but no luck. 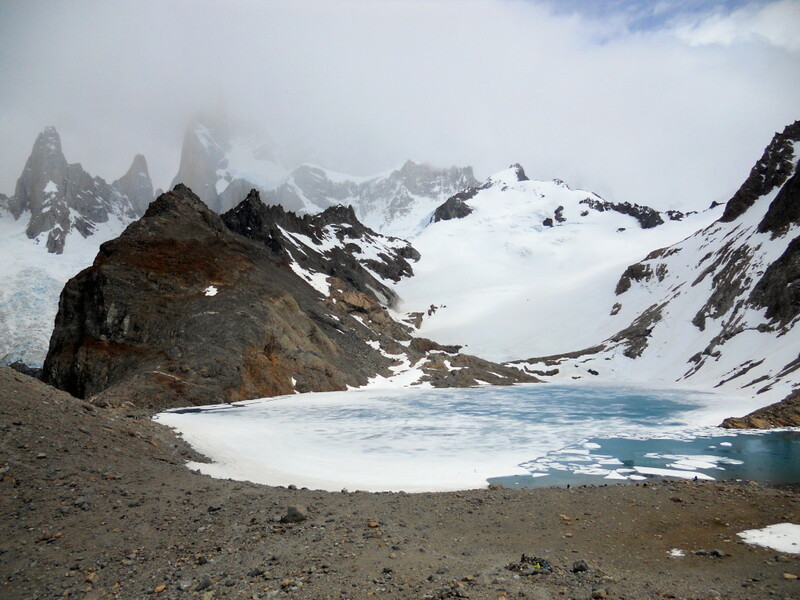 The 2 Lagunas that we visited were both nice, especially Laguna Sucia (“sucia” means dirty which is the opposite of what the turquoise lagoon was). We hung around for an hour or so at the top waiting for the clouds to clear but finally gave up and headed back down. And of course when we got down the big rocky hill, the clouds had moved on! 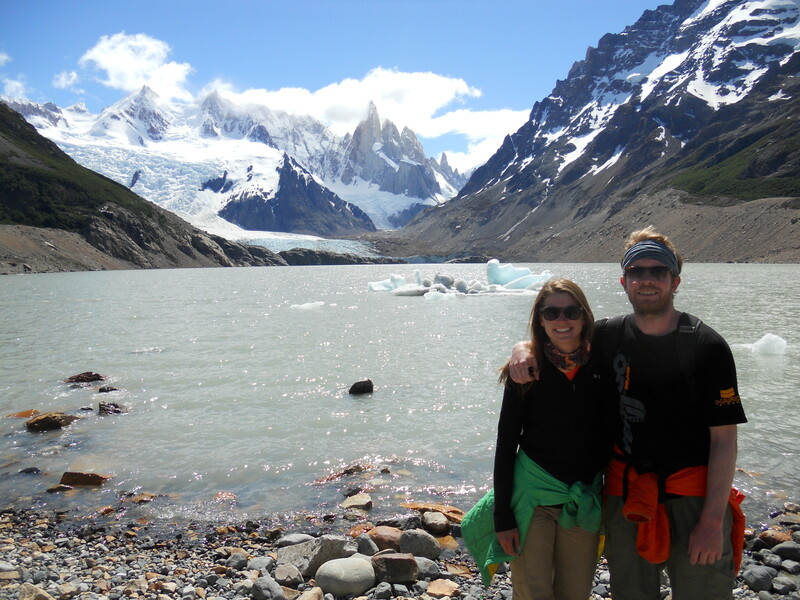 On our way back to town, we did a detour to check out one of the glaciers in the park. 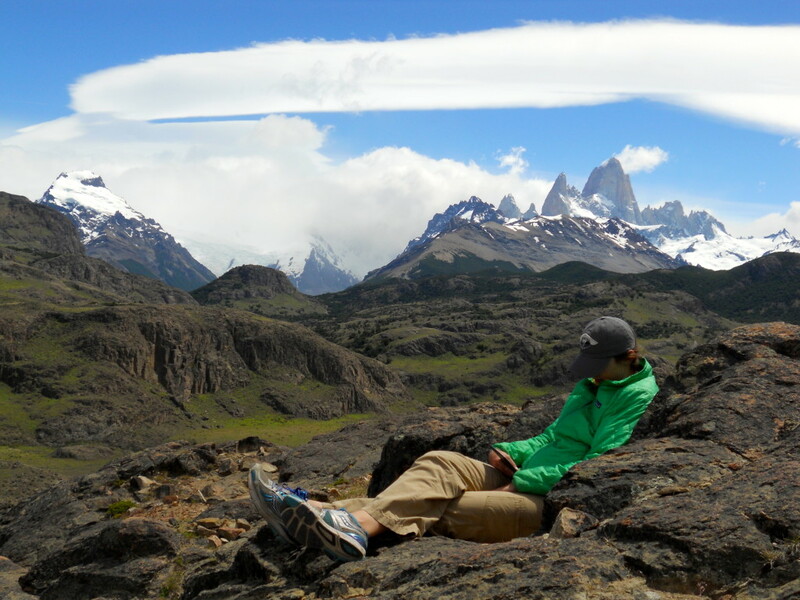 On our last day of hiking, we decided to take it easy. 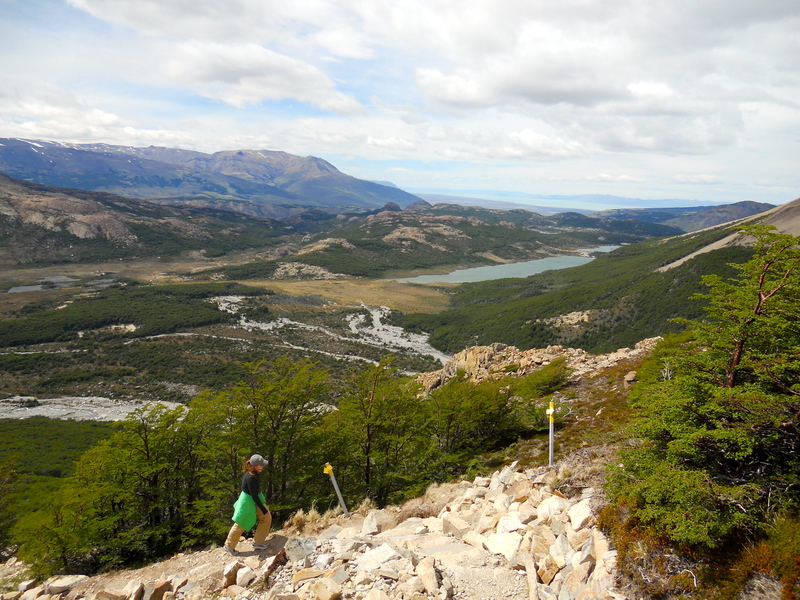 We grabbed our Kindles and some lunch and headed up to a lookout over the town with Mt. 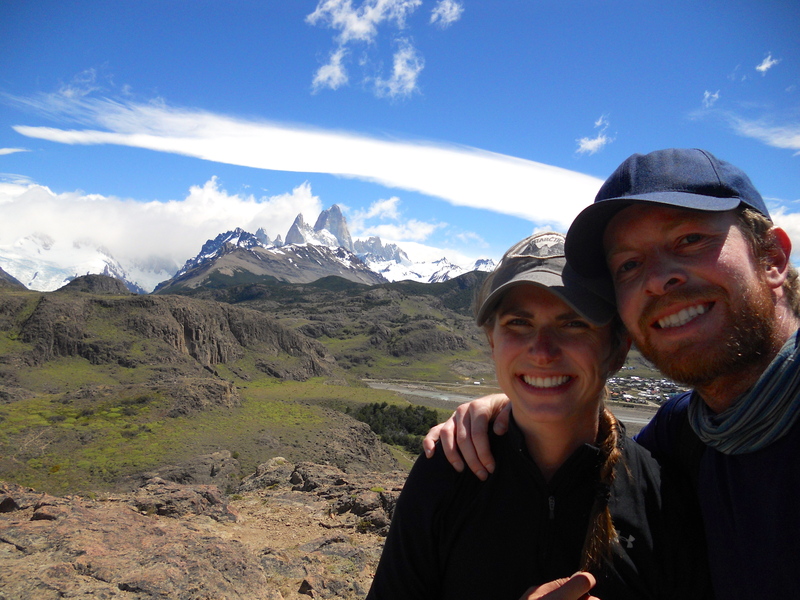 Fitz Roy in the background and just hung out for the afternoon. It was beautiful!